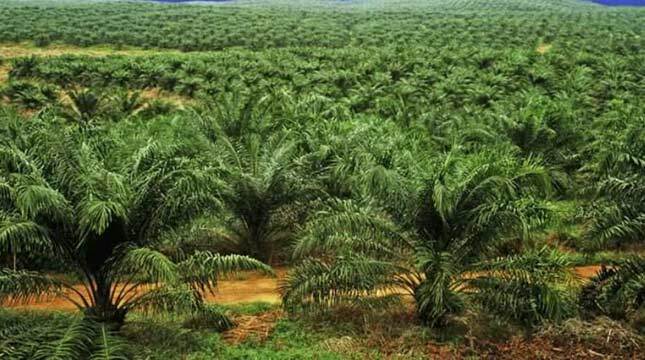 INDUSTRY.co.id - Jakarta - A subsidiary of PT Rajawali Nusantara Indonesia, PT Perkebunan Mitra Ogan, is optimistic that palm oil production in 2018 can reach 47,516 tons. Director of PT Mitra Perkebunan Ogan Fikri Al Ansor, said after the signing of cooperation in RNI Building in Jakarta on Thursday (31/5/217) said the palm oil company based in South Sumatra, targets productivity to increase 245.9 percent compared to 2017 production which only 13,736 tons . "We are confident that the peak harvest in the second semester will be achieved," said Fikri, 35 percent of production in the first semester. Fikri said the company targets 35 percent of CPO production to be achieved in the first half of 2018, while the remaining 65 percent is achieved in the second half of 2018 along with the peak harvest around September-October. There is also a production target in the I-semester has reached 16,630 tons. Meanwhile, the target of increasing production of Fresh Fruit Bunches (TBS) in 2018 amounted to 124,825 tons or an increase of 25.27 percent from the previous year of 99,641 tons. Through the increase in production, Mitra Ogan pegged the sales value of Rp473 billion in 2018. Before entering the peak harvest, PTP Mitra Ogan also made improvements, especially in terms of infrastructure to improve productivity. The strategy is done through cooperation of Oil Palm Production Partnership Partnership from PT Indonesia Derivatives Clearing House (Persero). "There are several factors that caused the performance of last year to decrease, because the Ogan Partners do not have funds for infrastructure, we are confident that this synergy target in achieving the production can be achieved," said Fikri. With funding through a bailout system of Rp50 billion, PTP Mitra Ogan will make improvements to the existing garden through fertilization and plant maintenance in accordance with the normal technical maintenance culture. In addition, the company is also targeting infrastructure improvements. in the form of maintenance of roads and bridges in the environment of Karang Depo gardens which will facilitate the cultivation of Fresh Fruit Bunches (TBS) from plantation to factory as well as factory maintenance in an effort to increase rendemen and quality of CPO and palm kernel.